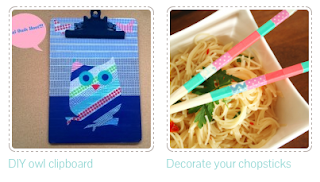 Blog Guidebook: Shut the front door - Washi Tape Crafts! Shut the front door - Washi Tape Crafts! 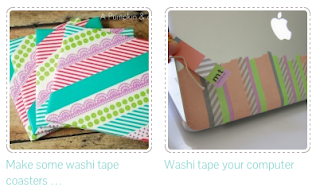 Speaking of Washi tape the other day...our friend Amy from Mod Podge Rocks has started a new site all about crafts with Washi! Wish I'd thought of that! This looks pretty I have never tried this myself but will do so.